EAA Airventure Oshkosh is on the horizon once again. 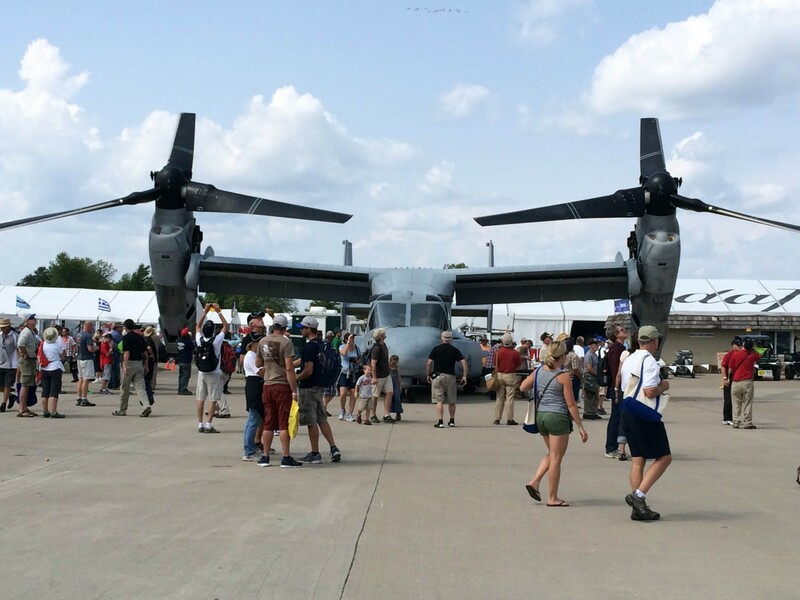 We are counting down the best moments of Oshkosh 2014 in preparation for the biggest aviation event of the year. What was your favorite moment. Find us on Facebook or Twitter to let us know. Oshkosh is one of the few places in the world where you can see the greatest aircraft of history, the largest and most advanced commercial and military jets and stunt planes that push aviation to the limit in a single place. Fantastic aircraft from the past and present were displayed in Boeing plaza, and the offerings changed daily. This, alone, was worth the price of admission to Oshkosh. Vintage military aircraft are among the most incredible planes ever to take to the skies. They hold a special place in our heart because Hartzell designed propellers for the US Military during both world wars and beyond. The warbird flyover at Oshkosh gave attendees the chance to see the magnificent machines in action. Check out this video from the Airshow Stuff YouTube channel to get a taste of what we saw last year. The newest model in Daher’s vaunted TBM line of turboprop aircraft was technically unveiled earlier in the summer at the Sun ‘N Fun Fly-In. But, the team behind the plane knew Oshkosh was the perfect opportunity to share the hard work and inspiration that went into its design. Hartzell President Joe Brown and Daher Chief Executive Stephane Mayer told the story of the TBM 900 to an enthusiastic crowd of fans and reporters. If you are an aviation enthusiast, you owe it to yourself to visit Oshkosh simply to see acres upon acres of homebuilt experimental aircraft outside the main exhibition area. Each one is a labor of love. It’s a testament to the strength of the general aviation industry to see the sheer number of pilots who make the trek to Wisconsin every year. In fact, Oshkosh boasts the busiest air traffic control tower in the world during Oshkosh. 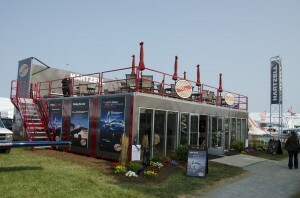 This unique structure represents Hartzell’s ongoing commitment to EAA Airventure and the fans who make it the most incredible aviation event in the world. Built in partnership with our sister company, Hartzell Engine Technologies, Hartzell HQ was the place to stop in and talk shop at Airventure 2014. The bottom floor is air conditioned. The top floor, aka “The Flight Deck,” offered seating with incredible views of the festival and the airshow. Hartzell HQ will return to Oshkosh in 2015.